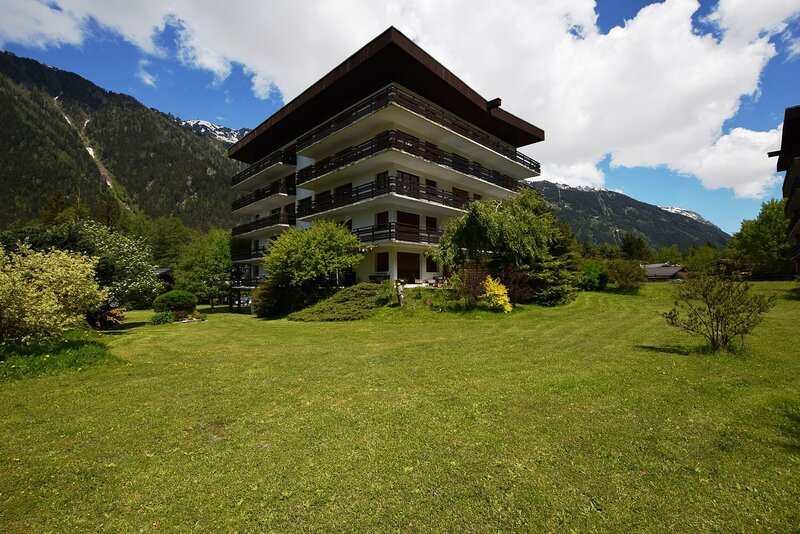 An attractive fifth floor, one-bedroom apartment, with a large balcony offering panoramic views of the Valley. 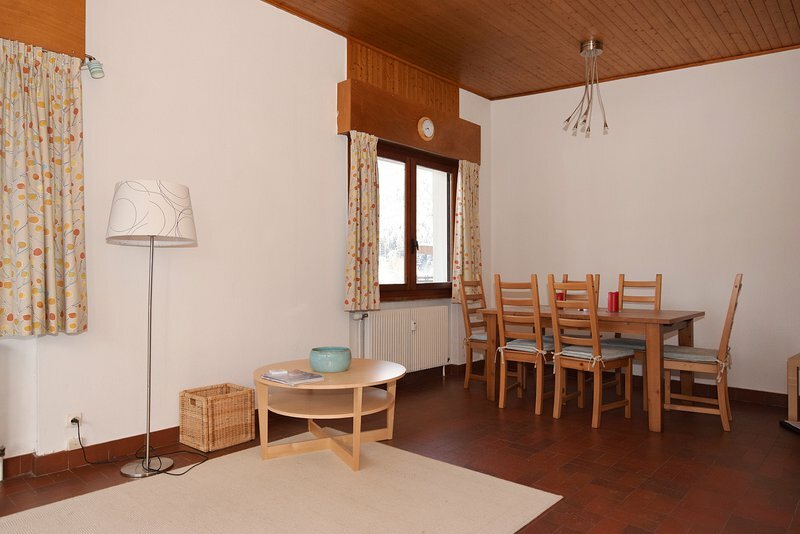 As a corner apartment with a dual aspect, it is bright and airy, giving a good sense of space and proportion. 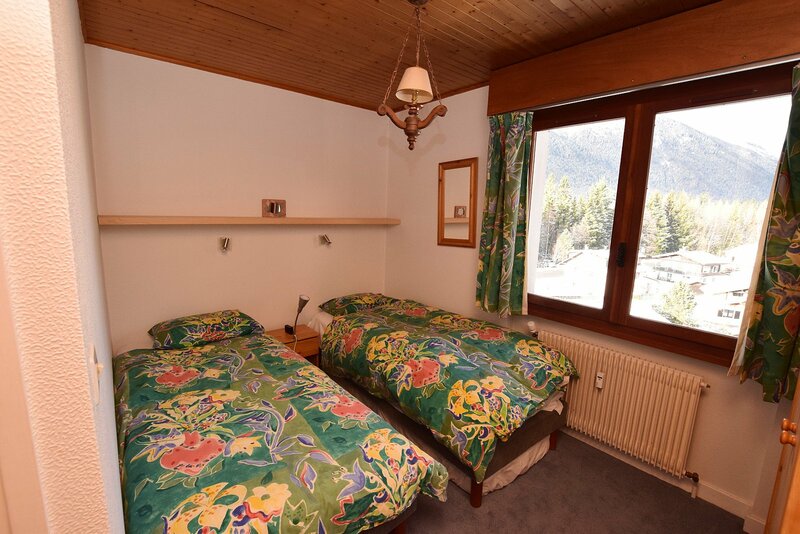 The accommodation was originally set up as a studio with separate skiers bedroom, but have been combined to create a large 1 bedroom apartment which could easily sleep 4 or more. 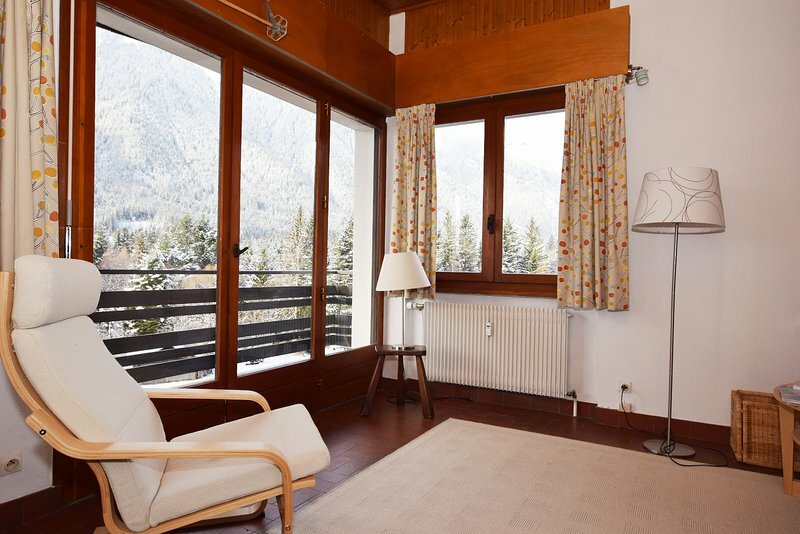 The living area has picture windows on two sides, and French doors open onto a 21m² balcony with views from les Houches round to le Tour and morning and evening sunshine. 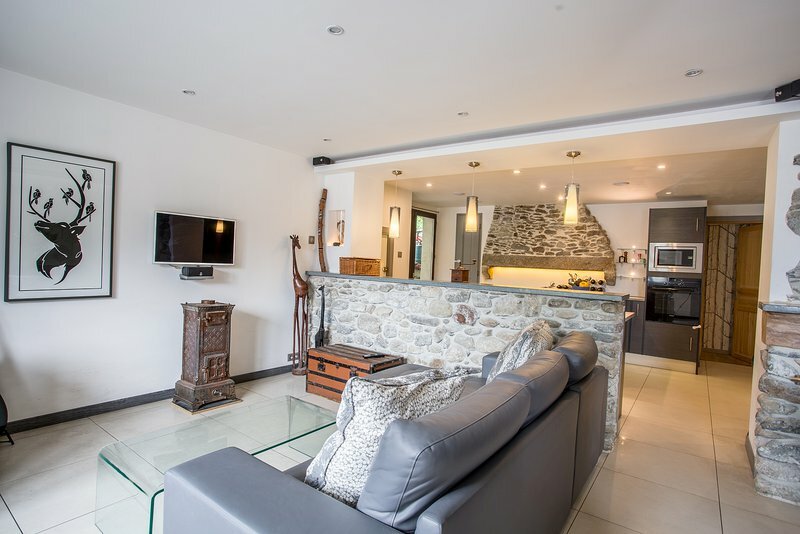 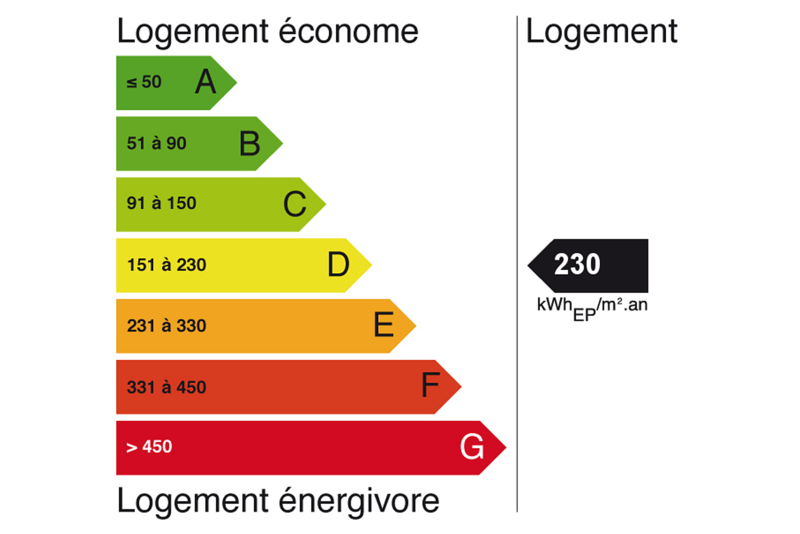 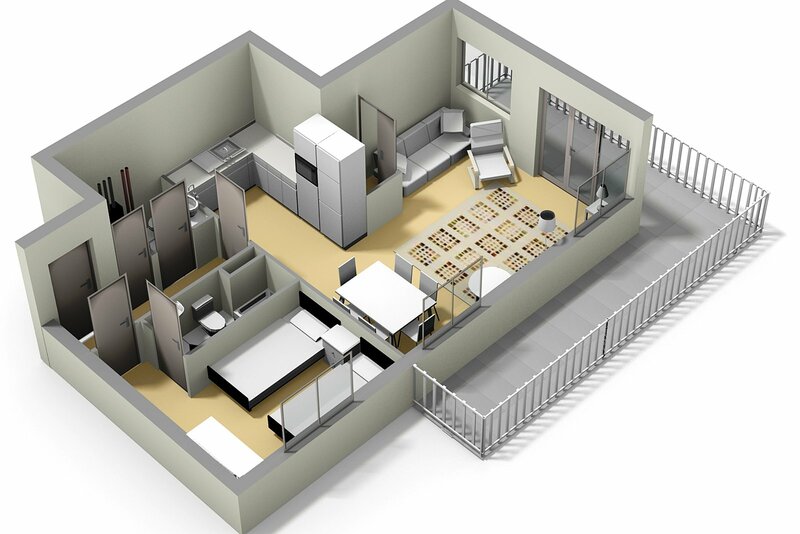 The apartment further benefits from an underground garage, external parking and a large cave. 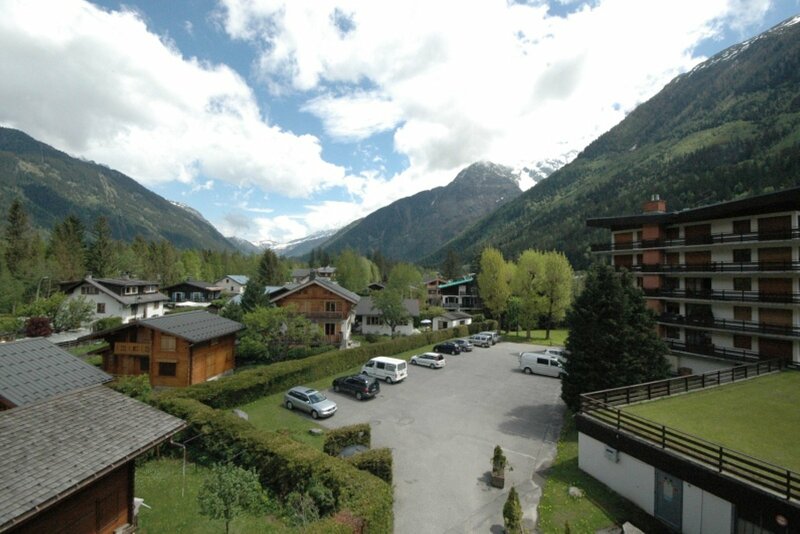 Location, views and balcony. 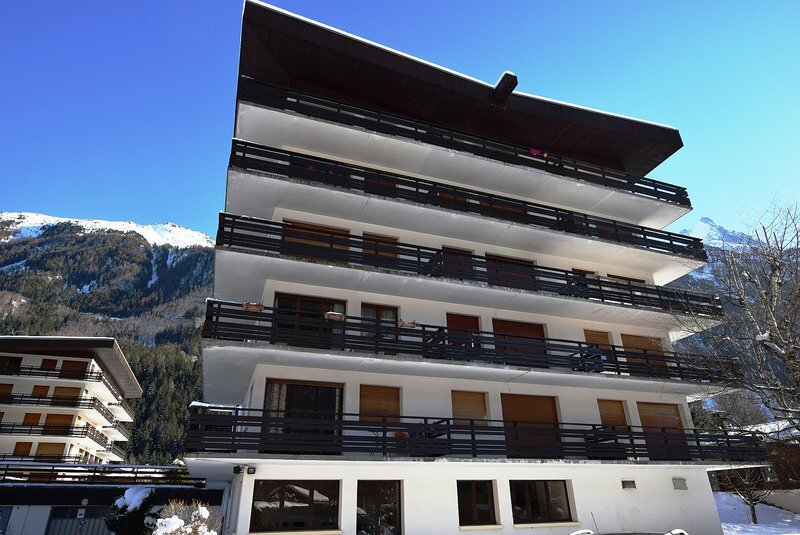 It's rare indeed to find a one bedroom apartment with a balcony that's as big as a lot of apartments themselves. 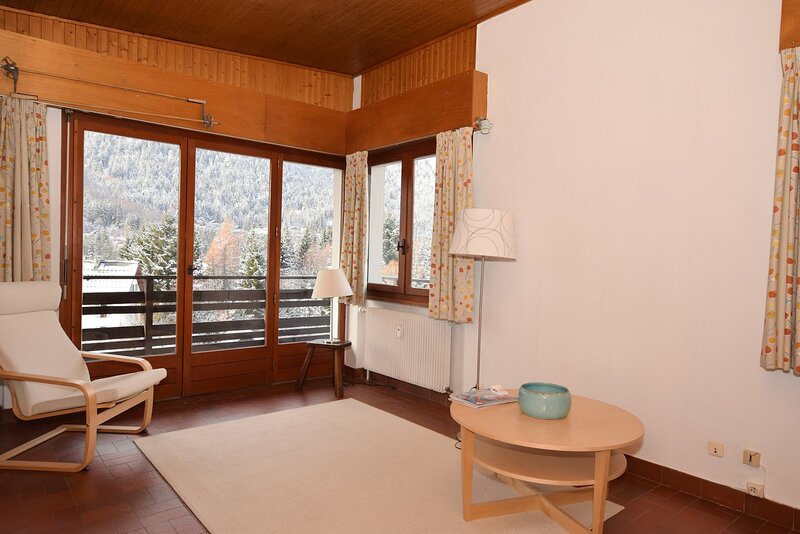 Being dual aspect and on the 5th floor, the views are panoramic and uninterrupted. 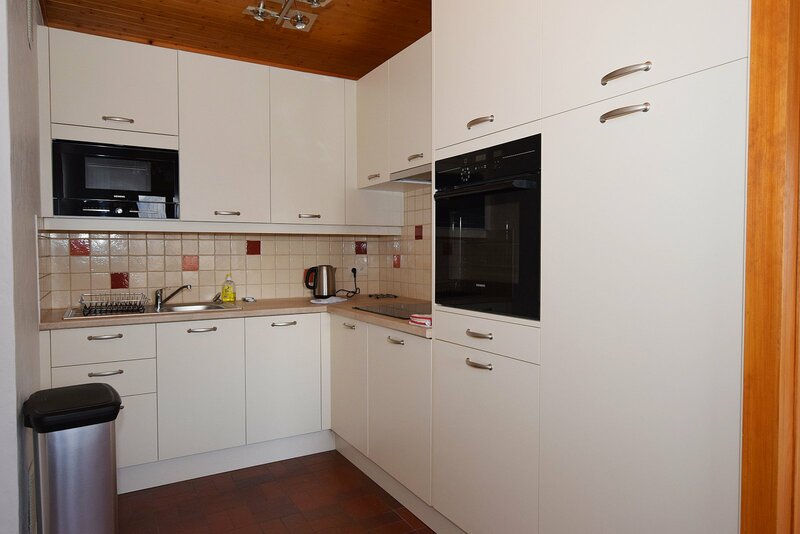 What's more the building is in a sought-after location in la Frasse - quiet and open, but just 10 minutes walk to the town centre and all its amenities. 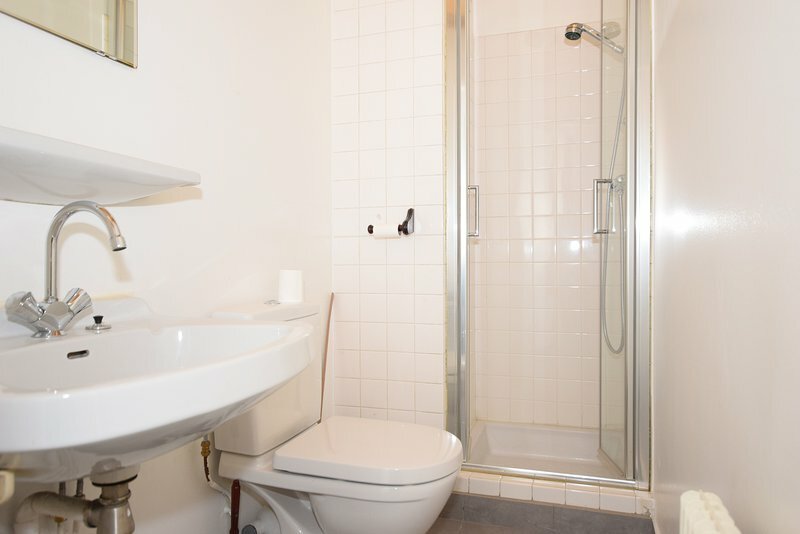 Apartments in this building don't come up for sale very often, which speaks for itself. 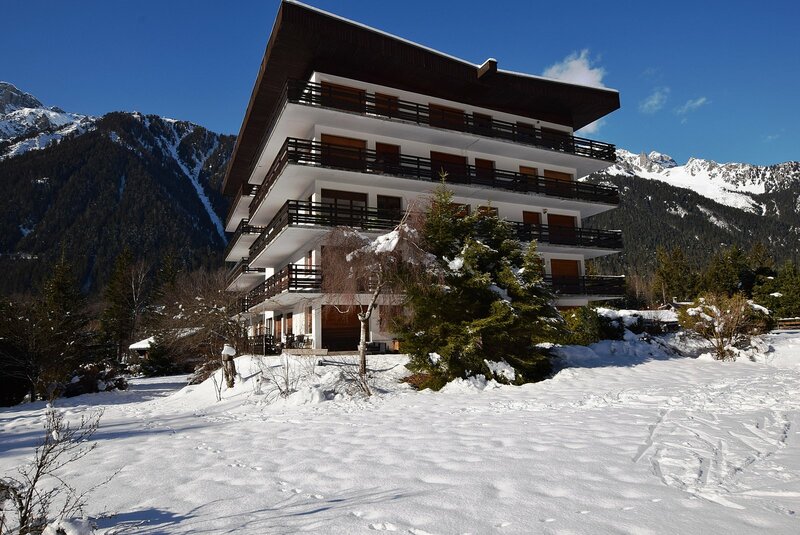 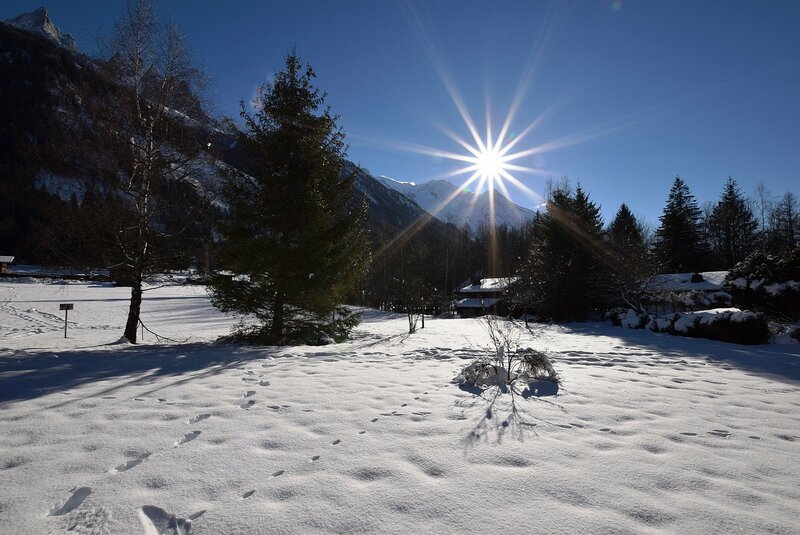 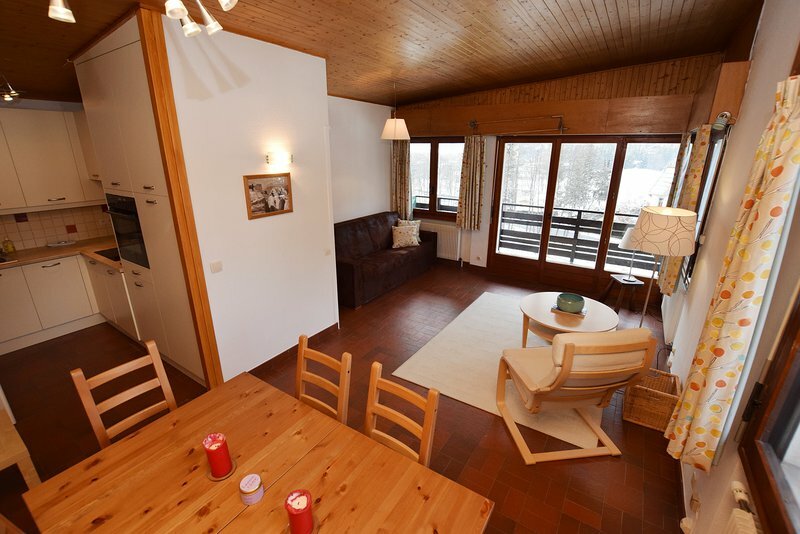 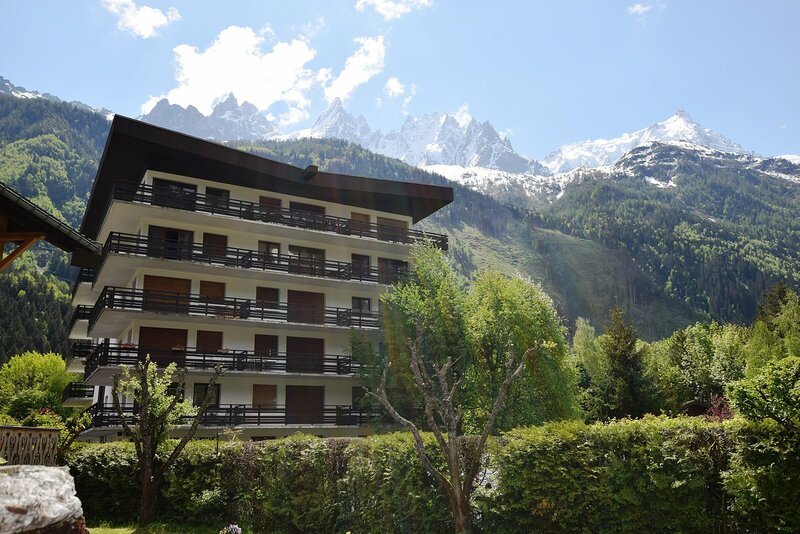 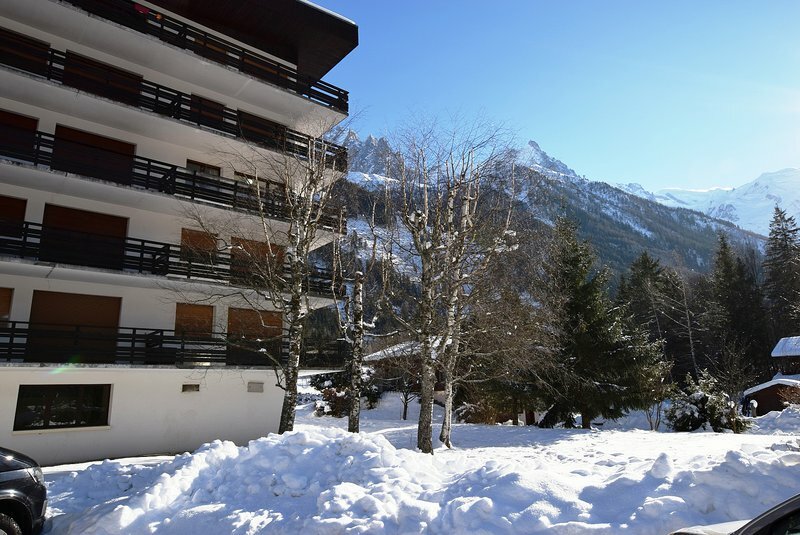 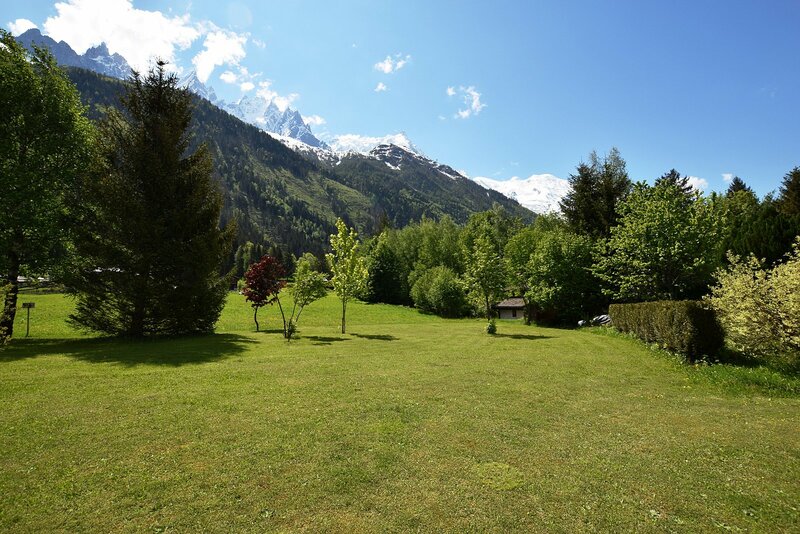 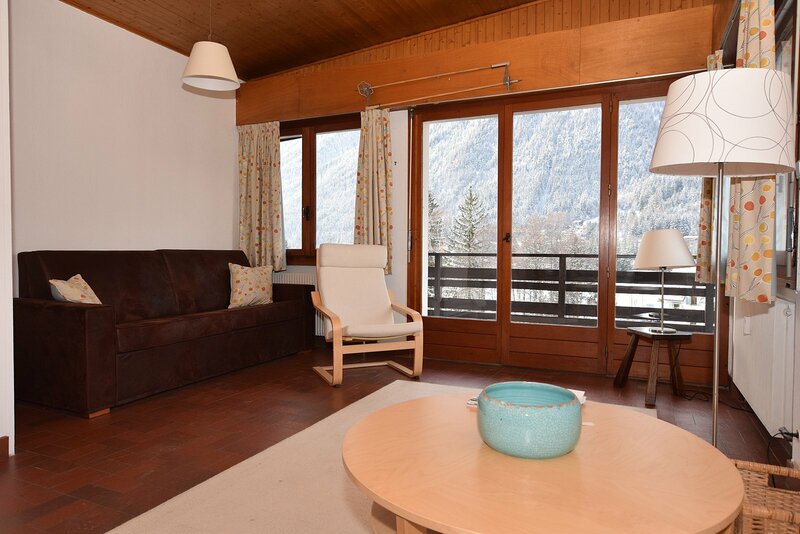 Apartment Cristalliers is set in a quiet residential area, close to the sports complex and only a 10-12 minute walk to the centre of Chamonix, its bars, restaurants and shops.